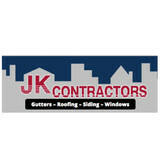 Specializing in vinyl siding, aluminum wraps, storm and wind damage. Welcome to Gen-Ex.com. Home of General Exterior Construction. 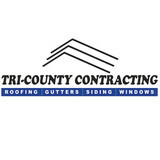 We are a self-owned licensed, bonded, and insured roofing contractor located in McHenry, IL. Our company prides itself on it’s upmost professionalism delivered on each and every job. We go the extra mile to ensure that every step of your exterior project is completed correctly the first time. Our experience gives us the knowledge to tackle any residential job we take on. From repairing to replacing roofs we follow strict safety and protocol guidelines ensuring the job is done right. What types of siding services do Waukesha exterior contractors provide? Wood siding needs more maintenance than less-expensive, low-maintenance vinyl siding, but with proper care it will outlast vinyl siding, which can fade and crack over time. Your Waukesha, WI contractor might also suggest fiber cement siding, which is fire resistant and termite-proof and can come with a warranty of up to 50 years. Find siding and exterior contractors in Waukesha, WI on Houzz. Narrow your search in the Professionals section to Waukesha, WI siding and exterior contractors. 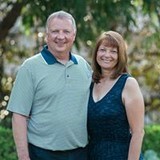 Find out how long a Waukesha, WI exterior remodeling contractor has been in business, view portfolios, read reviews and get contact information.